Do You Know Your Fairfax County Geography? GPS spoils us. Then again, Americans have a long-established reputation for being poor at geography. A 2015 federal report says most eighth-grade students do not demonstrate “solid competence in the subject.” In a 2006 National Geographic study, more than one-third of Americans couldn’t find Louisiana or Mississippi on a map. So, how’s your knowledge of geography in your backyard? It should be strong. After all, there’s a historical marker honoring the U.S. Army Map Service for its huge contribution to the development of GPS at Turner Farm, right here in Fairfax County. So take the quiz. We’ve added a little history, too, just for fun. Some of the links provide hints. How much do you know about Fairfax County? A. Scott’s Run flows into what body of water at Scott’s Run Nature Preserve? B. Which park was the site of the only major Civil War battle that took place in Fairfax County? C. Which of these historic structures is celebrating its 40th year on the National Register of Historic Places this year? D. What county pathway can you travel by bike or foot through varied terrain for more than 40 miles from the Potomac River to the Occoquan River? E. Where is the highest elevation in Fairfax County? F. Who lived at Sully Historic Site? G. What is the largest watershed in Fairfax County? H. What is the longest stream in the county? I. Which of these parks abuts the Potomac River? J. What is the largest lake in the county? A. 3 Scott’s Run empties into the Potomac River just downstream from Great Falls Park. B. 2 The Battle of Ox Hill took place September 1, 1862. C. 4 A little tricky. All four are on the National Register. Colvin Run Mill is celebrating its 40th year on the list in 2017. D. 2 The Cross County Trail crosses the county. E. 1 The highest natural elevation in Fairfax County is 566.9 feet above sea level at the I-66 Landfill, 4618 West Ox Road. The lowest elevation is slightly above sea level along the county’s tidal shoreline. F. 4 Richard Bland Lee, who was General Robert E. Lee’s uncle and Northern Virginia’s first representative to Congress. G. 2 At 57.7 square miles, Difficult Run is the largest watershed in the county. It stretches from near Wolf Trap Farm Park to the southeast corner of Great Falls Park, where Difficult Run flows into the Potomac River. H. 2 Accotink Creek stretches from the City of Fairfax to Gunston Cove in the Poto mac River. I. 4 The well-named Riverbend Park sits on a large bend of the Potomac River. J. 1 Burke Lake, at 218 acres, is the largest lake in the county. 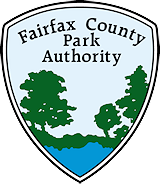 This entry was posted in Uncategorized on July 24, 2017 by Fairfax County Park Authority. Trying to find out who I contact about a trail (blacktop) in disrepair and tripping hazard?? Thank you for your comment. Send an email to Parkmail@fairfaxcounty.gov with details about what is in disrepair and where it is. This will be forwarded to staff who can address the problem.